Something my clients often discover is that kitchen organization is actually fun when treated like an art project and taken as an opportunity to bring a little function AND form to a cluttered space. Here are some great products from houzz.com I stumbled on which can help you bring a little more "you" to your kitchen organization. 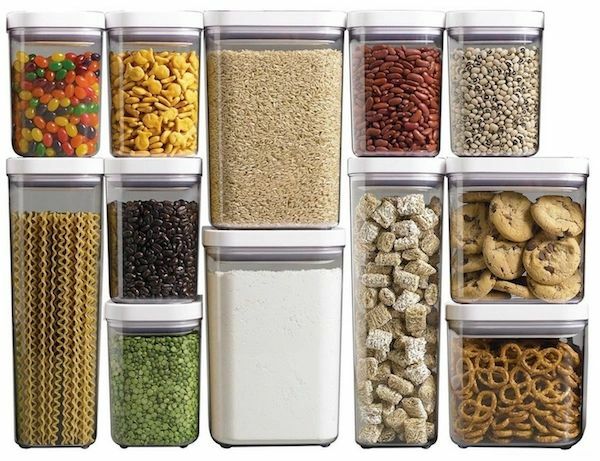 Don’t these sleek containers from Oxo Good Grips look better than pasta packages and pretzel bags? Try repackaging your dry goods using airtight plastic or glass jars. The set of 12 runs about $100. 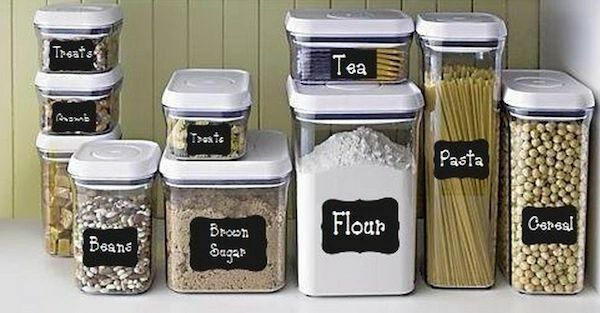 If you’re interested in labeling your containers, check out these cute chalkboard labels. The set of 22 is $9.95 at Amazon. 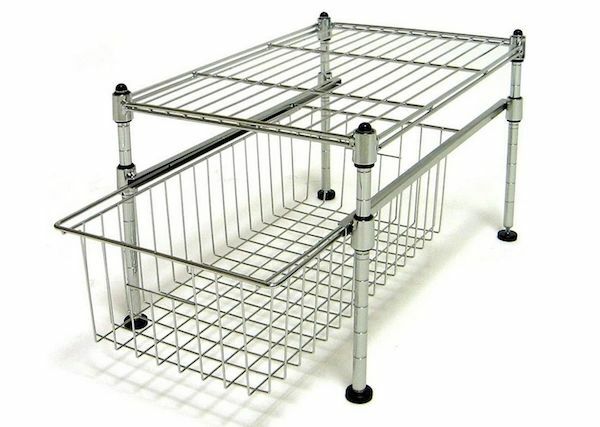 This metal basket organizer allows you to add an extra drawer and shelf to your kitchen / pantry space. It’s a great solution if you have tall shelves. 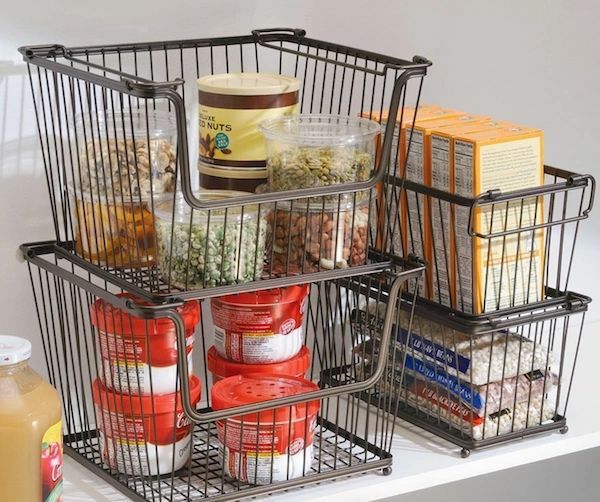 It’s called the Seville Classics Single Basket Organizer from UltraZinc. Here’s another idea to ad vertical storage. They’re stackable wire baskets that are great for storing snacks and goodies for school lunch bags. 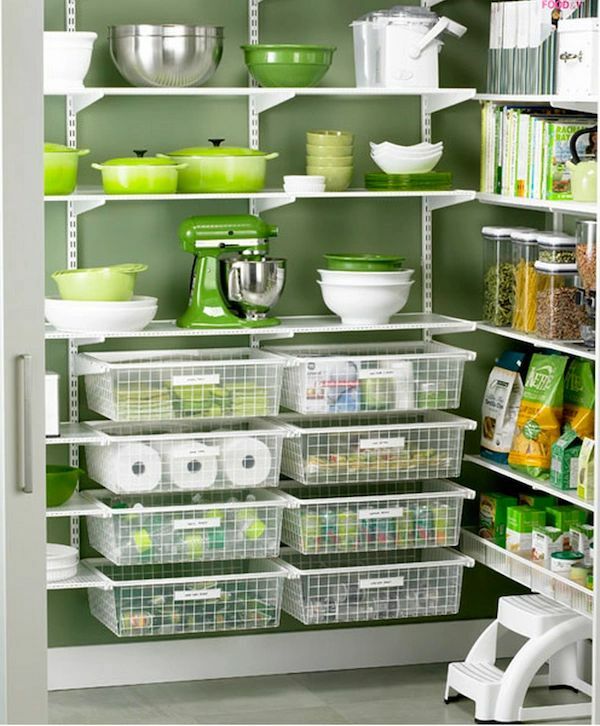 It’s called InterDesign York Lyra Open Organizer Bin for $15.00. Try organizing your seasoning packets in this nifty plastic container for $15.00. It will keep all your loose packages neat and tidy. It’s the InterDesign Linus Pack Place. Here’s another great option to store your canned goods. 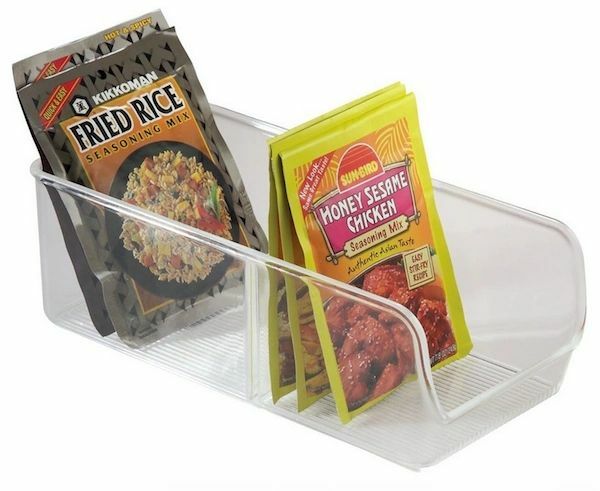 Instead of a tiered shelf, this organizer allows you to quickly see what you have. 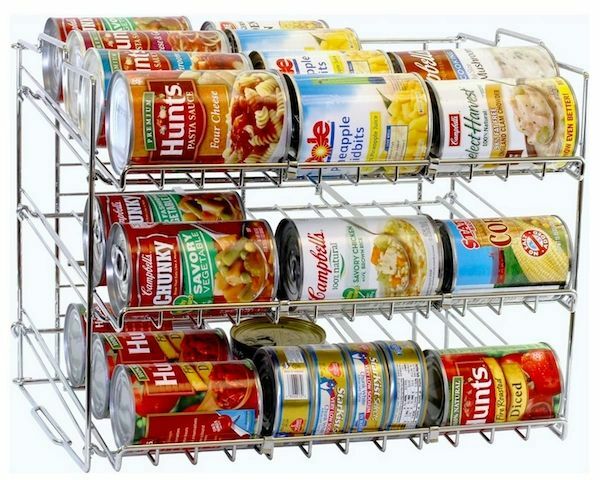 It’s called the DecoBros Supreme Stackable Can Rack Organizer for $24.00. And if you’re in the market to update your pantry, Elfa shelving system from the Container Store is always a good but more pricey option.